James Ellroy’s four book noir series, the L.A. Quartet, offers an exceedingly dark look at post World War II Los Angeles. Ellroy’s own losses and demons no doubt fueled this seedy world of fiction that he, to this day, continues to craft. As a boy of ten, Ellroy faced the murder of his mother, Geneva. After being picked up by a stranger late one night at the Desert Inn bar in El Monte, the young and promiscuous woman was found strangled. The crime remains unsolved. L.A. Confidential is the most widely known installment in the quartet of corruption and killing—and likely due to the success of the film that accompanied it. The set up Ellroy paints, in which high dollar call girls “cut” to look like Veronica Lake and other celebrity beauties are offered up to the uber wealthy, certainly takes a nod from the Hollywood Hills operation of one Marie Mitchell, better known as Madam Brenda Allen. 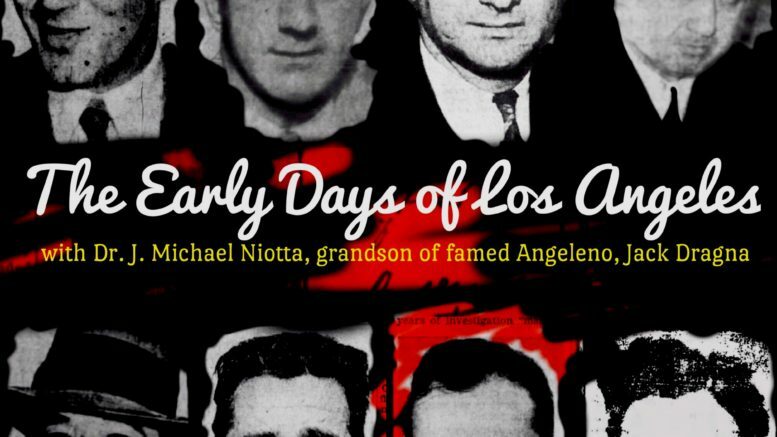 Author’s Note: My great grandfather Jack Dragna doesn’t make an appearance in L.A. Confidential. They were never able to deport him in real life, yet, in the novel’s storyline, immigration personnel found a way to succeed at the task. Moving on from deportation to murder, in White Jazz—the final episode in the quartet—Ellroy sees fit to smother Dragna with a pillow. For the record, I’m of the belief he went peacefully in his sleep. The offense aside, like many of you, I do love me some James Ellroy. Just keep in mind folks, like candy-cane rainbows, leprechauns, and Batman and Robin, it’s all a lot of make believe. Enjoy this real life account of the seedy side of the City of Angels. Madam Brenda Allen’s pleasure girl service catered to an elite, carefully screened clientele; for the most part, the upper upper. Smartly, she didn’t accept “walk ins” though, and instead booked by private telephone service. Exercising caution allowed the business to thrive, and it is rumored that Allen’s stable of girls quickly grew to more than one hundred beauties. When nudged for tribute, she “donated” regularly to the LAPD and was even alleged to have a “partner” on the force. Despite discretion, pay-offs, and connections, lawmen still toppled the swanky brothel operation. But it was a woman with a badge, not a man, who became Allen’s undoing. Posed as a call-girl seeking work, policewoman Audre Davis infiltrated the bordello service. After the raid, the madam went away for pandering. 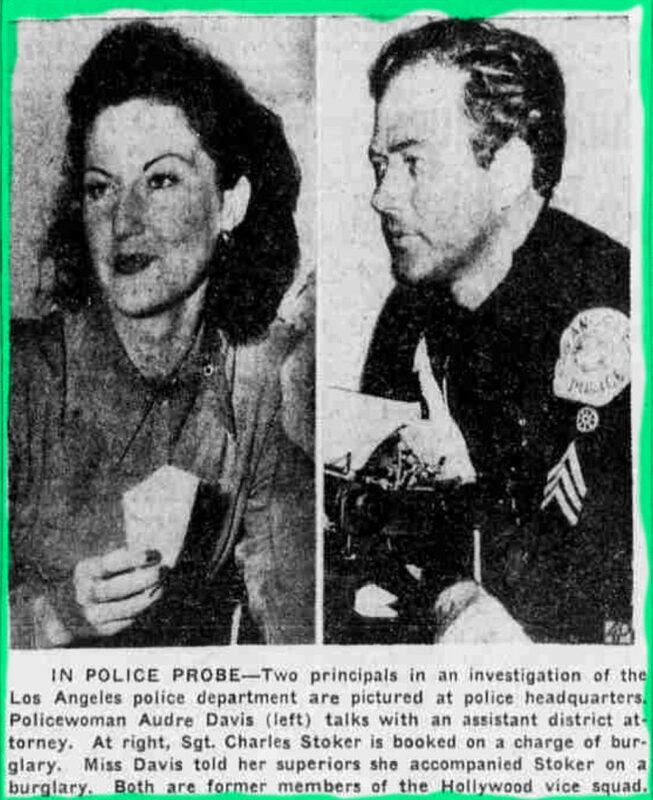 Reporters quickly dubbed Brenda Allen the “Queen of Los Angeles Bordellos,” a much nicer moniker than the one given to her predecessor, Ann Forst, “the Black Widow.” Though snared, while on the stand, Allen made sure she didn’t go out alone. Telling all, she announced she’d been shelling out $50 a week for each girl under her employ to secure “police protection.” She further intimated she’d been paying off another officer “as much as $150 per girl.” From what Brenda Allen also claimed, the badges were certainly getting their money’s worth; not only did officers collect a “fee,” they also “watched the show without paying.” This tax to the vice squad, she “considered” a “necessary business expense.” The Black Widow had a similar arrangement until she fell out of favor around 1940. Providing a backstory, Allen revealed how her setup started. A sexual relationship with Vice Squad Sergeant Elmer Jackson, which commenced in 1946, slowly evolved into a bit of extortion. The weekly protection fees Allen paid Jackson, whom newsmen coined as “second in command of the administrative squad,” weren’t the last of the little fees the madam encountered. As it turned out, Sgt. Jackson wasn’t the only extortionist on the force. Despite paying double to have her interests looked after, the madam’s livelihood toppled. Los Angeles, Sept. 8—Red-haired Brenda Allen, 30, whose Hollywood house was the object of a police vice squad raid, today was warned by a judge never to “operate any house of ill repute” again as she was sentenced to one year in the county jail. Initially the madam faced a 180 day sentence for lewd vagrancy. An additional 180 days for “operating a house of prostitution in the Hollywood hills” quickly followed. The sentences would run concurrently. Though out on bail while fighting for an appeal, Brenda Allen lost the battle in early November. Surprisingly, although at the profession for years, this proved to be the beautiful redhead’s first real taste of jail. After serving five of the initial six month stretch, Allen walked out of her jail cell. Lawmen hadn’t forgotten about that second sentence though, and in late April, 1949—after only one weekend of freedom—authorities hauled the madam back in. With the coming of summer, the media received another dose of controversy—further word of police bribery and corruption. To delve into these claims and review the evidence, a grand jury was formed. Requiring insight, they called upon the madam. For cooperating and providing her story, Brenda Allen was promised immunity. In exchange, she gave her word she’d “tell all.” And during what turned out to be a four-hour session before the grand jury, she did just that. For many, the courtroom proceedings proved exceedingly tense; word got out that Brenda Allen kept records. What authorities had in tow after agents escorted the madam to a safety deposit box then her elegant home in the Hollywood hills, stood to devastate reputations. “Raiding officers seized a little black index box at Miss Allen’s place.” The contents of that box were rumored to have read like a who’s who of the big screen. And as a juicy bonus, the madam’s notecards even offered intimate details about what got each of her celebrity and political clients off. To take a line from the film, L.A. Confidential, it was all very “Hush Hush.” If made public, the information would have certainly ended a few careers. To the relief of those listed, the judge showed mercy and refused to admit the cards as evidence—“a judge later announced, without making public the names, that many persons prominent in Hollywood were listed on the cards.” “Donations” likely kept this list of offenders from ever reaching public eyes. Allen’s defense attorney, Max Solomon, allegedly made it known that he had copies of the madam’s records. Solomon, who once represented Benjamin Siegel, is rumored to have used the threat of exposing names as extortion ammo for years to come. 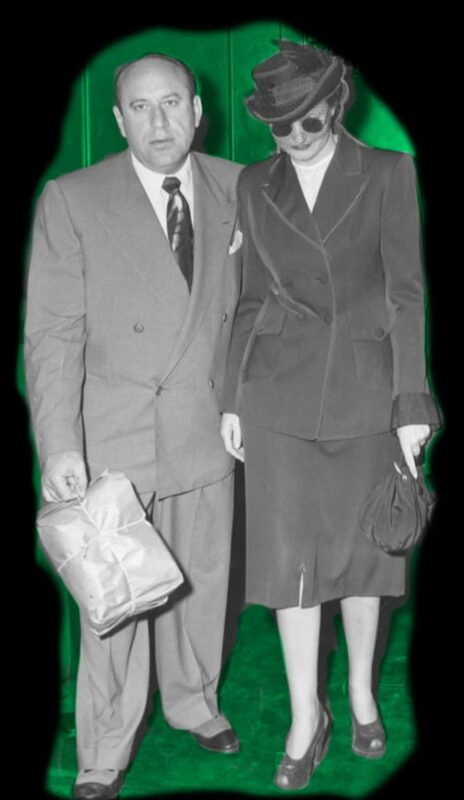 Defense Attorney Max Solomon and his client, Madam Brenda Allen, circa 1949. Another loud alarm followed the dirt the madam presented; word got out that conversations had been recorded and would be introduced as evidence. Worrying the brass, Allen expressed that if such tapes did in fact exist, then “the recordings would reveal how vice squad officers were shaking down the vice rackets.” As threatening as that sounded for the police force, it would be quite a while before anyone heard those secret conversations; there lied yet another scandal. “Since existence of the recordings was disclosed,” wire-tap man, Jim Vaus had “received threats on his life.” In exchange for testimony, Vaus’s attorney, Samuel Rummel, bargained for his client’s protection. 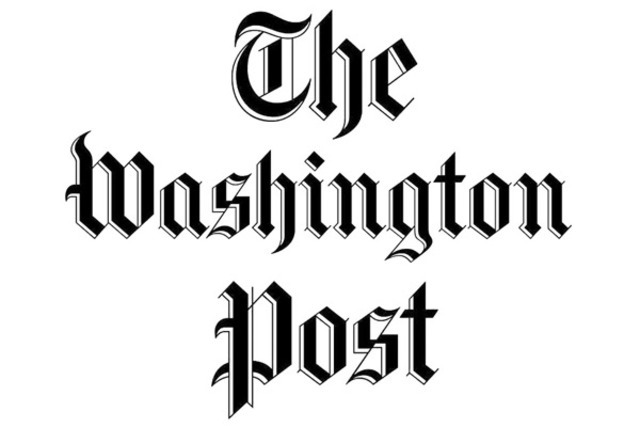 Although the district attorney’s office provided armed guards to watch over Vaus and the tapes he’d recorded, the reels were soon reported stolen. Vaus ended up before the jury anyway. He stated he’d been hired by Sgt. 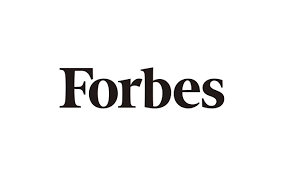 Charles Stoker to plant bugs and record conversations. He also intimated that the tapes did contain conversations which implicated involvement in a police protection racket. A new twist to the plot tied in racketeer Mickey Cohen. 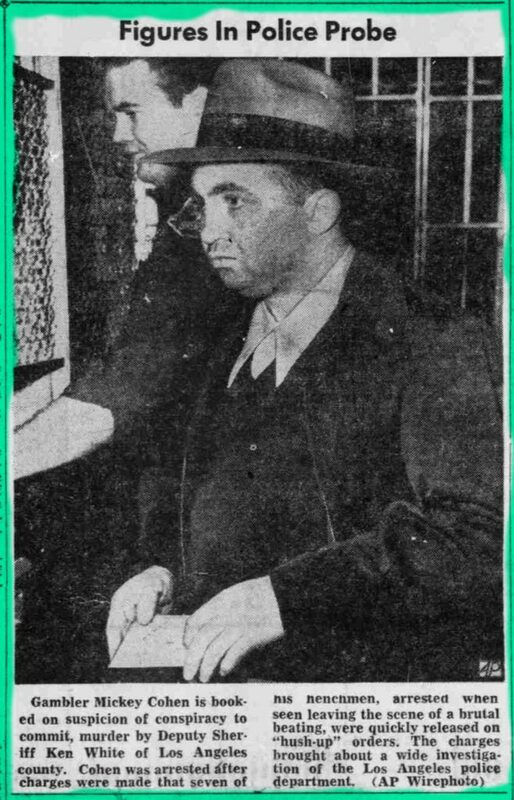 Radio shop owner, A. M. Pearson, had recently received a beating at the hands of seven of Cohen’s minions—a group of thugs the press was calling “the Seven Dwarfs.” Following suit, the papers anointed their ringleader Mickey Cohen, the crew’s “Snow White.” Though not personally implicated in the rough stuff, Cohen’s stabs at trying to get the policemen to release his men without booking was construed as bribery. Wrapped up in this “so-called police hush-up case” during the hype of the Brenda Allen police protection mess, Cohen seized the opportunity to make lawmen look bad, openly expressing that he too had been an ongoing victim of police shakedown efforts. Boastingly, he even added that he was eager for the evidence to surface. Going still further, Cohen hollered that the weapons possession trial of his associate, Harold “Happy” Meltzer, stemmed from fabrications made by sergeants Jackson and Wellpott. The duo, he swore, concocted the gun toting claim against “Happy,” because of their refusal to pay the officers’ extortion fee of $20,000. Vocal plays such as this made the already unpopular Mickey, even less so. Folks on both sides of the fence seemed to want the little gambler dead; the missing tape scandal and Cohen’s accusations against the police department occurred on the very same timeline as the barrage of near miss bombings and shootings that aimed to wipe Mickey out. Though the controversial tapes containing conversations between Brenda Allen and members of the police vice squad were eventually recovered, the build-up proved to be a hefty let-down; the poor quality of the reels didn’t allow for much damage. Thickening the plot; however, attorney Sam Rummel and wire-tap man, Jim Vaus, would later be identified as Cohen associates. Explaining his shift in allegiance, Vaus admitted the gangsters paid higher, but for Rummel the price for running with Cohen would prove too steep. Gunfire during another failed assassination took the poor attorney’s life. 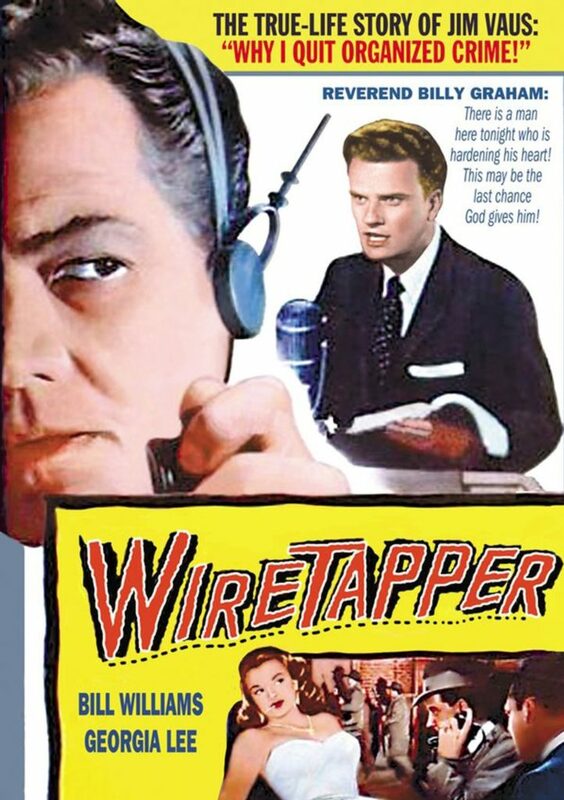 Movie poster for the 1955 film, Wire Tapper, written by former Mickey Cohen wire-tap man, Jim Vaus. Vaus wrote several books, including the autobiographies, The Devil Loves a Shining Mark: The Story of My Life, and Why I Quit Syndicated Crime, from which the film Wire Tapper was developed. An excuse of poor health may have merely been a front for the truth; that all the bad press likely accounted for the resignation of Police Chief Horrall. Another member of the force who volunteered to leave was Asst. Chief, Joe Reed. Before the summer’s end, petitions would circulate for the recall of Mayor Fletcher Bowron as well, and Sgt. Stoker would face criminal allegations. Former L.A. Police Chief Clemence B. Horrall, Assistant Chief Joe Reed, and Capt. Wisdom brought up on charges. Covering up a prior indiscretion, Sgt. Stoker broke into a finance office to steal a check that had been made out to him for $450. Surprisingly, the one who pointed a finger was Stoker’s subordinate. Policewoman Davis had served Sgt. Stoker faithfully. Posing as a prostitute under his guidance allowed the pair to infiltrate Allen’s bordello operation, and her fibs under oath during the trial that followed were made for Stoker’s benefit. Talk bubbled that for a time, the pair had been a bit more than just friendly. The relationship; however, had since soured. Spurned, Davis no longer looked to cover Stoker’s back. She waited in the car while he committed the burglary, she explained, then added that she witnessed Stoker destroying the evidence. Though not linked to the Brenda Allen case, the dirt helped to establish what kind of character the sergeant possessed; and also further lessened the credibility of Davis as a witness. Just one short decade after the cleansing of crooked Mayor Frank Shaw’s administration, another purge of the force began. Taking his new role very seriously, sit-in Police Chief W. A. Worton reached back to his experience as a former Marine major-general. In a public statement he warned, “I’m going to sift the wheat from the chaff.” In order to instill order, Worton announced “the transfer of four inspectors, two captains, four lieutenants, nine sergeants and 20 policemen.” Stoker and Davis were suspended, and in time the burglary case would lead to his removal. Though brought up on charges of bribery and perjury, former Police Chief Horrall received acquittal in late September of ‘49. Reed and Wisdom followed in November. Moves to free Brenda Allen continued. Defense Attorney Max Solomon pointed out that Allen had been jailed largely as a result of the testimony of a woman now recognized as a known perjurer—Policewoman Davis. Hearing Solomon’s ploy, Superior Judge McKay unbudgingly barked “You are trying to make a white mark with a piece of charcoal.” In all, the madam served eight of the twelve month sentence. Her former lover and extortioner, Sgt. Jackson; however, was another matter. 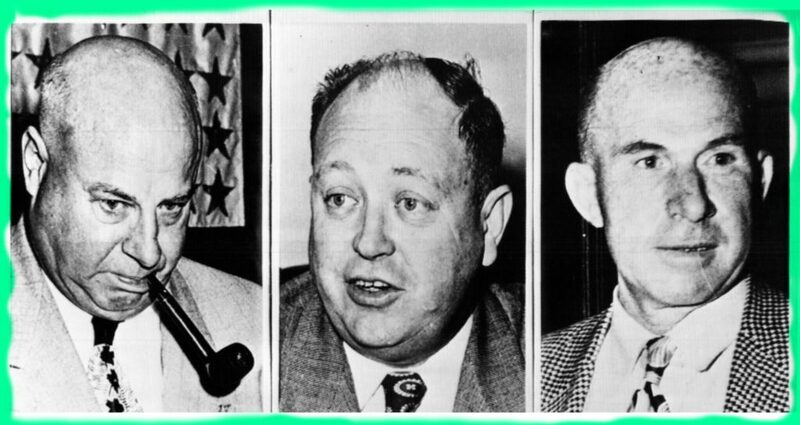 In a jaw-dropping maneuver, wire-tap man Jim Vaus went against a second employer—Mickey Cohen. According to the Vaus autobiography, he double-crossed Mickey to divulge the truth. Vaus “twisted the evidence to make it appear that Jackson was a part of Brenda Allen’s operation.” And he even “falsely testified against” the “innocent police sergeant” in order “to protect the syndicate.” Finding God with the help of Billy Graham, allowed Vaus to also find the strength necessary to overcome the fear of Mickey’s retribution. Recanting his false testimony, released Sgt. Elmer Jackson from the charges. Jackson retired sometime during the 1960’s. And so ends a truer L.A. Confidential. Author’s Closing: I hope I had the chance to meet some of you this weekend at the MobWorld Summit in my favorite section of Las Vegas—the Fremont District. 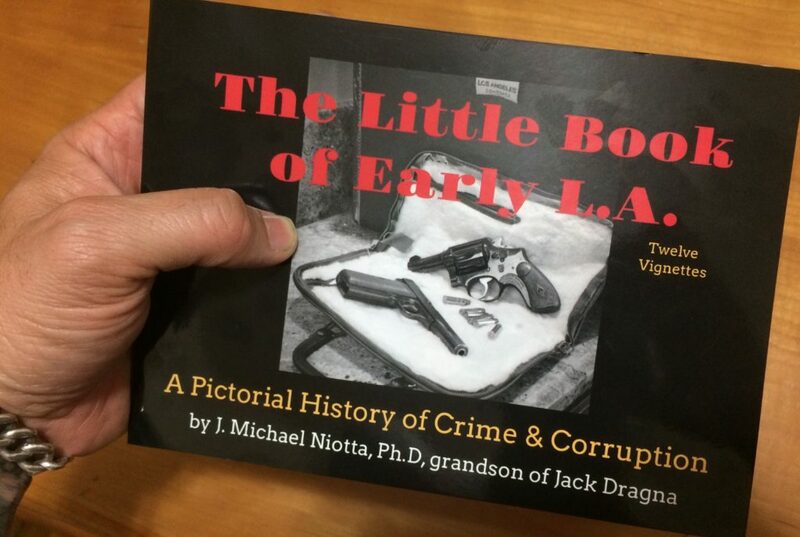 Despite efforts, my new indie project, The Little Book of Early LA: A Pictorial History of Crime & Corruption, was not ready for the Vegas appearance. Please visit the Shop at www.jmichaelniotta.com to pre-order a copy. 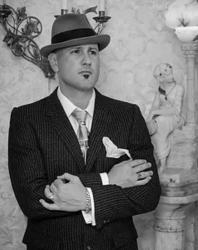 And if you can, catch me at the Mob Museum this September 22nd. I will be clearing up a lot of the Ellroyian fiction hovering around Grandpa Jack.